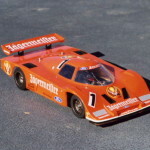 With the shape of the earth at an era of Tamiya was making only wooden models only. 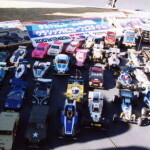 TMK are the Japanese initials of Tamiya Models Material. 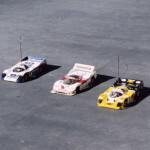 Two types have been identified, one that had been simplified. The brother of Shunsaku Tamiya, being supervisor of the design office, created a new design for the launch of Battleship Yamato, Tamiya’s first plastic model. Twin stars, the left one in blue, the right in bright yellow. The early ones have on the left a globe mark towards the blue star. 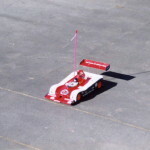 Overall shape of the curve is drawn with a red band on the black vertical bar on the left to shape a “P” as acronym for plastic model. 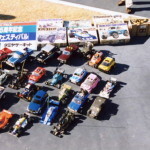 It was written “TAMIYA MOKEI” in English, which was effective at the time of overseas export, although the meaning of “MOKEI” was unknown to most there. 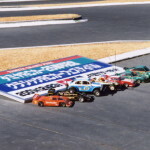 Mainly printed on Tamiya slot cars and embodied the three letters of Tamiya in katakana, being rather cryptic it was only used for few kits and years. A popular symbol of the model world (star), this red and blue star twin star illustration is simple and precise with white background. Red is for creativity and passion, blue for youth and sincerity. Great design that does not feel at all almost 50 years old! 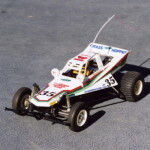 This entry was posted in Tamiya Company, Vintage on March 25, 2013 by admin. It all started in 1946, when Mr. Yoshio Tamiya, the founder, opened a saw mill and lumber business in Shizuoka. 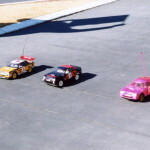 Tamiya ventured into modeling in 1948, with a scale wooden ship model kit. 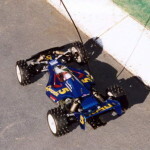 Since then, Tamiya has continued to grow, producing models known as “First in Quality Around the World”. 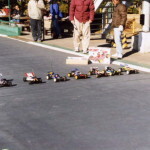 May: A sawmill/lumber company is founded in Oshika, Shizuoka-City, Japan and named Tamiya Shoji & Co.
Apr: A wooden model department is organized within the lumber company. 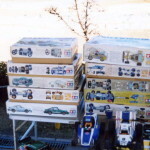 Jun: Sawmill is closed, and Tamiya becomes a specialized wooden model kit maker. 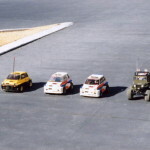 May: Tamiya releases a wooden motorized tank, whick becomes immensely popular. 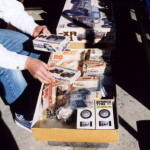 Mar: A boom in wooden ship models allows Tamiya to become widely known. May: Tamiya begins producing plastic model kits, with 1/800 Scale Battleship Yamato. Dec: Tamiya releases the first 1/35 scale motorized tank, Panther. 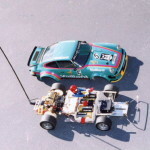 Dec: The Tamiya Plastic Kogyo Co. is founded as a plastic molding company with a capital of 4 million yen. Jan: Tamiya introduces the following categories: 1/21 Scale Deluxe Tank Series with M4 Sherman, 1/50 Scale Japanese Aircraft Series with Type 52 Zero Fighter, 1/72 Scale Aircraft with Type 32 Zero Fighter. 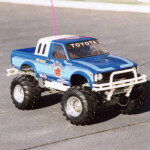 May: Tamiya ventures outside of Japan by exporting to countries abroad, such as the U.S.A., Australia, Europe and South East Asia. 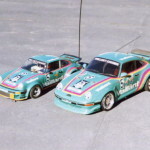 Aug: The Tamiya Plastic Kogyo Co. is renamed the Tamiya Plastic Model Co., and capital increased to 14 million yen. 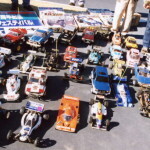 May: 27 European agents gather in Shizuoka for the first Tamiya agent meeting. Nov: Yoshio Tamiya is awarded The Fifth Order Of The Sacred Treasure, by the Japanese Government, for his commitment to the industry. 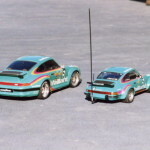 Apr: The 1/24 Scale Sports Car Series is started with the Porsche 935. Feb: Tamiya releases 1/100 Scale Space Shuttle Orbitor. 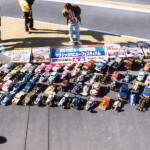 Jan: Tamiya News becomes a monthly issue. Jan: The production facilities are automated and expanded for better productivity. 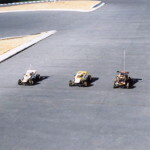 Feb: Tamiya releases the Sound Activated Temple with great success. 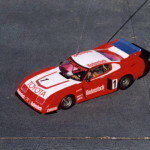 Mar: The first issue of Tamiya Model Magazine International is published. Oct: Begins the expension of the headquarters facilities. 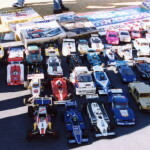 Tamiya News clebrates its 200th issue. 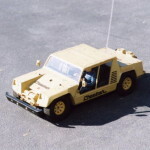 May: 1/14 Scale QD (Quick Drive) Series is introduced with the Thunder Shot QD. Jan: More than 23 millions Mini 4WDs sold. Dec: More than 44 million Mini 4WDs sold. 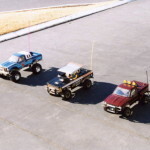 Feb: Tamiya, Inc. completes its Abe factory. 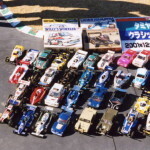 Jan: Tamiya Model Magazine International becomes bi-monthly. 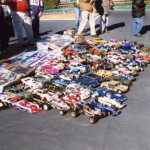 May: R/C racers from 12 countries across Eu-rope gather for the Tamiya Euro Cup R/C Cham-pionships. 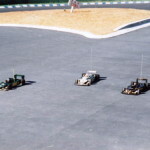 Jan: It is decided that Tamiya sponsorship of Team Lotus’ F-1 season will continue through 1993. 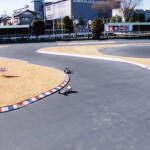 May: Kakegawa Circuit, a 320m race track for R/C cars is opened in Kakegawa City, Shizuoka. 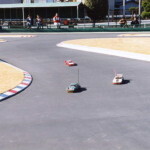 As well as being open for public use, it serves as a testing ground for development of new R/C cars. 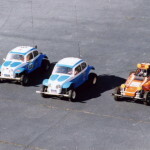 Jul: Popularity of Fully Cowled Mini 4WD explodes. 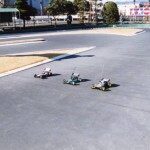 Over 300,000 people in 15 venues across Japan take part in Mini 4WD Japan Cup. 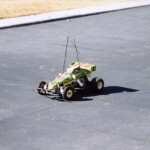 Feb: The 1/32 Scale Aero-Mini 4WD Series is started with “Max Breaker”. 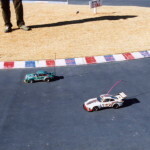 Oct: Subaru Impreza WRC ’99 marks the debut of the new QD (Quick Drive) Sports Series, which features pre-assembled 1/10 scale R/C cars for entry level users. 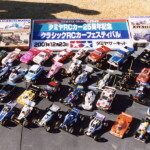 This entry was posted in Tamiya Company, Vintage on March 18, 2013 by admin. 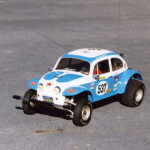 Tamiya RC Classic Car Meeting 2001 – the meeting that started it all??? 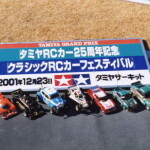 To commemorate the 25th anniversary release of Tamiya RC cars, it was held on Tamiya circuit on December 23, 2001 and called “Classic Car Meeting”. 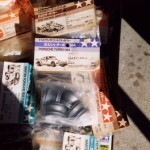 This entry was posted in Event Report, Tamiya Company, Vintage on March 11, 2013 by admin.